A third-generation Japanese American, Mike Honda was born on June 27, 1941, in Walnut Grove, California. He spent his early childhood with his family in a Colorado internment camp during World War II, as a result of an Executive Order by which President Franklin Roosevelt warehoused Americans of Japanese ancestry in such facilities between 1942-45. For a synopsis of Honda’s educational and professional activities prior to the start of his political career, click here. After serving three years in the California State Assembly, Honda in 2000 was elected to the U.S. House of Representatives as a Democrat from California’s 15th Congressional District. He was also a member of the Congressional Progressive Caucus. In 2013 Honda’s district was renumbered as the 17th. Honda was defeated in the 2016 Democratic primary by challenger Ro Khanna, and he vacated his House seat in January 2017. Honda objected strongly to the New York Police Department’s post-9/11 surveillance of local Muslim neighborhoods and mosques, a practice aimed at uncovering potential extremism and/or terrorist threats. By Honda’s telling, such surveillance was akin to the World War II-era policy that had sent him and his family to an internment camp. In 2005 Honda was a member of the Out of Iraq Congressional Caucus. When the House of Representatives voted by a 345-75 margin to defund the notoriously corrupt community organization ACORN in September 2009, Honda was one of the 75—all Democrats—who voted to continue funding the group. On December 22, 2009, Honda was one of 33 U.S. Representatives who signed a letter to Hillary Clinton, calling on the Secretary of State to pressure the Israeli government to end its ban on Palestinian student travel from Gaza to the West Bank. “We applaud your efforts to support educational opportunities for Palestinian youth, including your initiative to increase U.S. funding for Palestinian universities and educational programs in Gaza and the West Bank,” added the letter. On January 27, 2010, Honda was one of 54 Members of Congress who signed a letter asking President Barack Obama to use diplomatic pressure to end Israel’s blockade of Gaza—a blockade which had been imposed in order to prevent the importation of weaponry from Iran and Syria. On October 13, 2010, Honda participated in a large-scale vigil and rally in front of the U.S. Capitol in Washington, where numerous House and Senate members were launching a new push for comprehensive immigration reform that would provide a path-to-citizenship for millions of illegal aliens. Also present were such notables as Xavier Becerra, Yvette Clarke, Raúl Grijalva, Luis Gutierrez, Robert Menendez, Jared Polis, Michael Quigley, Jan Schakowsky, Nydia Velazquez, and Lynn Woolsey. In 2012 Honda spoke at a National Council of Asian Pacific Americans immigration roundtable promoting the DREAM Act and a pathway-to-citizenship for illegal aliens residing in the United States. In early 2013, Honda and a number of fellow elected officials and activists—most of whom were aligned with the Democratic Socialists of America—drafted a proposal urging President Obama to award a posthumous Presidential Medal of Freedom to the late Fred Ross Sr., a radical who had been trained by Saul Alinsky and had served as a mentor to both Cesar Chavez and Dolores Huerta. In a 2002 report to the CPUSA National Board, the Party’s Political Action Commission chairwoman, Joelle Fishman, urged fellow Communists to support Mike Honda and Barbara Lee in their respective congressional races in California. In 2006 Honda endorsed San Jose City Council member Cindy Chavez, a 1999 honoree of the CPUSA, in her campaign for mayor. To examine Honda’s voting record as a Member of Congress, click here. For additional information on Mike Honda, click here. 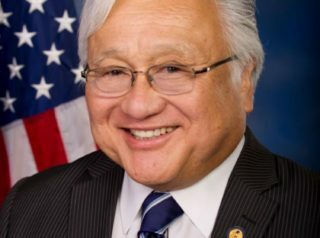 Further Reading: “Mike Honda” (Ballotpedia.org, Keywiki.org ); “Traitor Senators Took Money from Iran Lobby, Back Iran Nukes” (by Daniel Greenfield, 8-25-2015); “We All Support the Nuclear Deal with Iran” (8-3-2015); “Congressman Under Fire: The Case Against Rep. Mike Honda” (San Jose Inside, 9-9-2015). spreadsheets tracking the “donation history” of Indo- and Chinese-American attendees at campaign events.